The popular drink of barley boiled in water normally served in coffee shops, hot or cold, with sugar or “kosong” (plain) now comes in an alcoholic version. A creation for the SEA Diageo World Class Competition held in June. 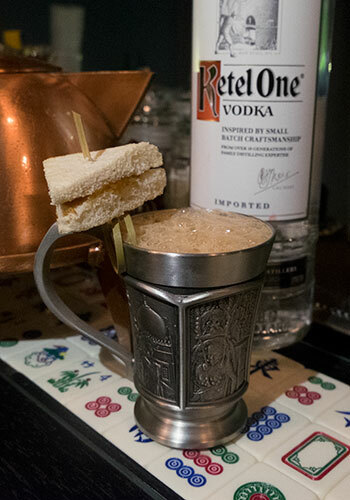 The drink is a representation of the Malaysian culture for teh tarik (pulled tea), the local’s go-to drink usually ordered with roti canai, kaya toast or nasi lemak. It’s Milo Dino with 2 shots of vodka. 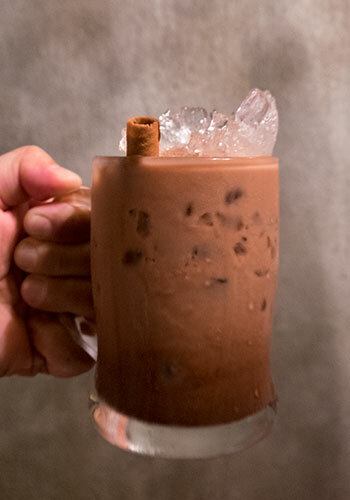 The original drink which is a favourite in mamak stalls, now makes an even better nightcap. The best selling cocktail at Fiercer Curry House. A witty idea by the owner. It also serves as a tongue soother if you are not a regular to spicy food. Ingredients: Sailor Jerry rum, evaporated milk, rose syrup, grenadine, egg white, lemon, ice cream soda. Meaning mixed in Malay, the drink is a creation based on the rose syrup drink (sirap bandung) normally served during celebrations in Malay homes. The garnish is a piece of shan zha bing, a childhood snack made of hawthorn. Luo Han Guo is a fruit that is 300 times sweeter than sugar and has been used in Chinese medicine as a cooling drink. Normally prepared with Air Mata Kuching (longan water boiled with luo hang guo and winter melon). Mixing it with gin spices up the drink while the lychee adds a floral note. Can easily go overboard with this cocktail. Wong Lou Kat is a Chinese herbal tea that is strong and bitter. It’s drunk to cool the body when a fever breaks. 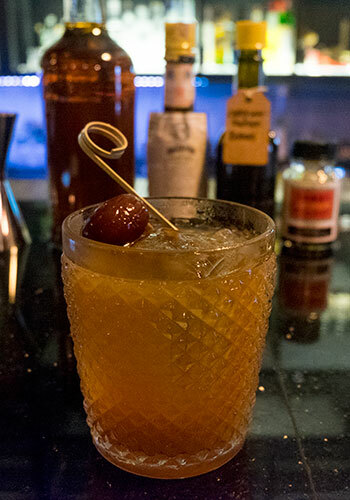 This daring concoction is a twist on the Old Fashioned using a beverage familiar to the local palate.